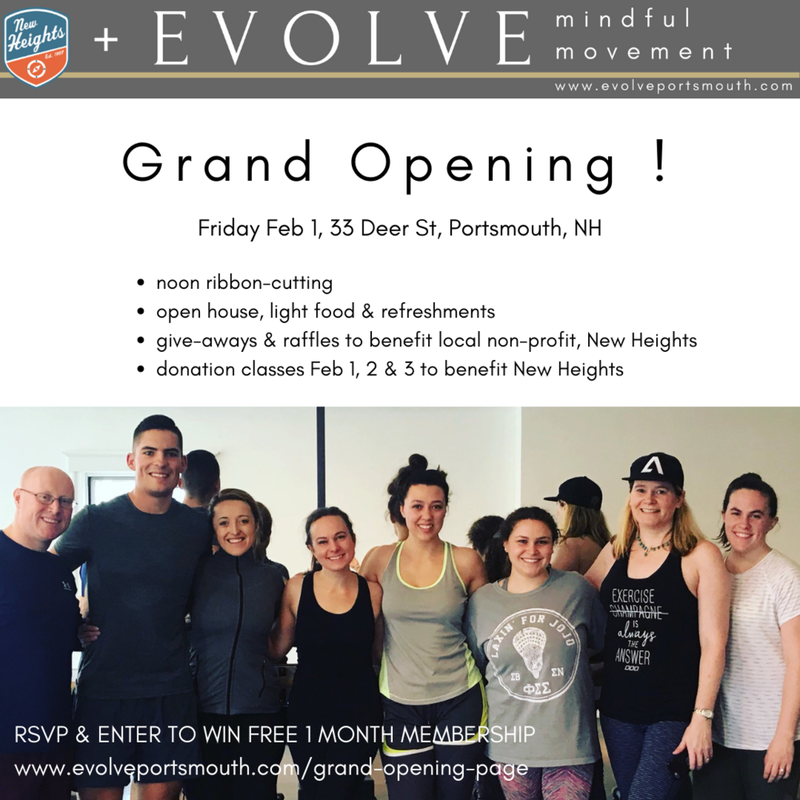 Friday Feb 1, Save the date for GRAND OPENING! Enter promo code: DONATION when you book your class online and we will accept cash donations at the studio, 100% of proceeds to benefit New Heights. Celebrate a new locally-owned business!